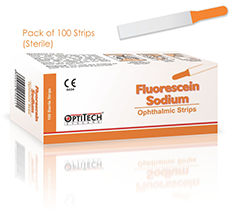 FLUORESCEIN Sodium is a brightly colored dye. 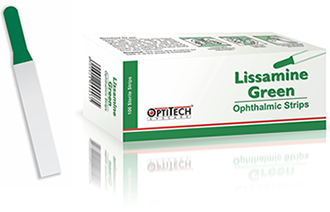 It is used to check the surface of the eye for scratches, corneal and conjunctiva problems, evaluation of contact lens fitting and applanation tonometery. 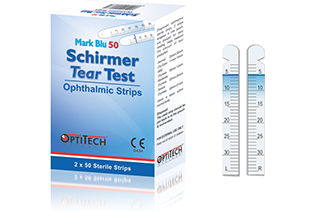 The MARK Blu strips have a blue color mark, making an ideal strip to be used by clinical assistants also and stored for record. 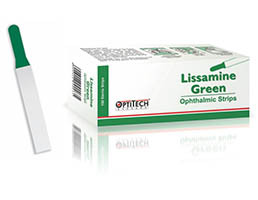 LISSAMINE GREEN strips ideally used for diagnosis of dry eye syndrome and indication of deficient or damaged corneal cells. 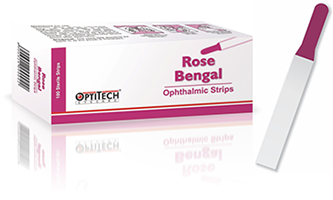 ROSE BENGAL is a diagnostic agent used for staining dead degenerated epithelial cells or corneal tissue changes are suspected. 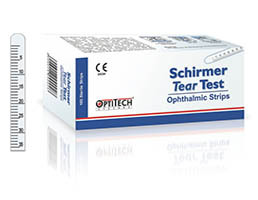 SCHIRMER TEAR TEST strips are gauged for easy reading, help in measuring the amount of tear produced by an eye. 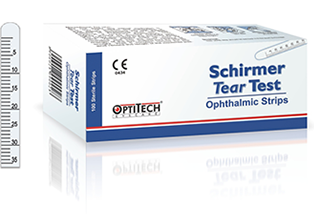 Your diagnosis for dry eye syndrome. 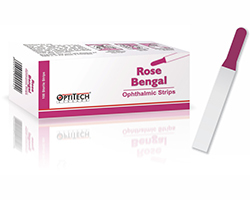 Diagnostic ophthalmic sterile strips, set of left and right strip wrapped in a pouch. 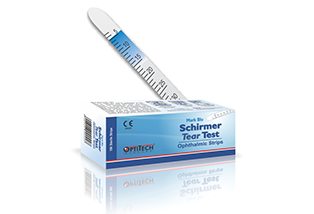 Gauged for easy reading, helps measure the amount of tear production. 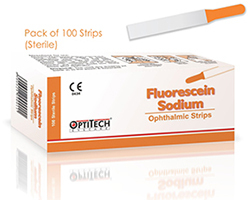 FLUORESCEIN Sodium is a brightly colored dye. 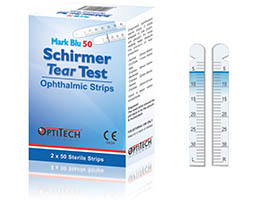 The MARK Blu strips have a blue color mark. 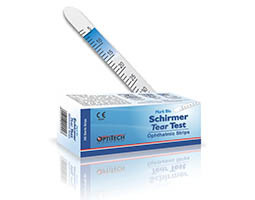 SCHIRMER TEAR TEST strips are gauged for easy reading.